VICTORIA, British Columbia ― The Canadian government will begin negotiations with Leonardo for a modernization program for search and rescue helicopters, undercutting a competing effort by Sikorsky. Leonardo will be awarded a sole-source contract to upgrade 14 CH-149 Cormorant helicopters, which will cost the government more than $1 billion, Canada announced Thursday. The aircraft have been operated by the Royal Canadian Air Force for search and rescue missions since the year 2000. AgustaWestland, a subsidiary of Leonardo, originally built the helicopters. 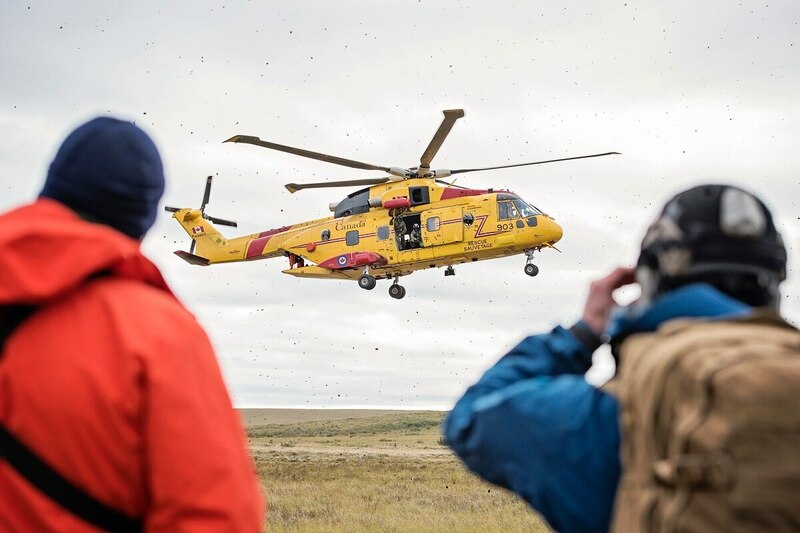 “The Cormorant Mid-Life Upgrade project will extend rotary-wing SAR services to at least 2040 by upgrading the existing CH-149 Cormorants and augmenting the fleet size,” Department of National Defence spokeswoman Ashley Lemire said. Up to seven additional AW101 helos, of which the Cormorant is a variant, will be acquired, she added. The move undercuts recent efforts by Sikorsky to convince Canada to buy its civilian S-92 helicopters for search and rescue, instead of embarking on the modernization plan. The Air Force is now studying whether to buy AW101s, lease them or put into service the former U.S. presidential helicopters that Canada purchased in 2011 for spare parts. Those VH-71 helicopters are also a variant of the AW101. The Canadian military acquired nine VH-71s plus spare parts from the U.S. after then-President Barack Obama pulled the plug on the expensive project and the White House decided not to use the helicopters at all. Lemire said the Cormorant helicopter upgrade project also includes the purchase of a CH-149 simulator, updated training devices, publications and infrastructure to support the training of aircrew and maintainers for the modernized aircraft. Specific costs are still to be worked out, but the project is estimated to be more than $1 billion. Lemire said acquiring a simulator will also cut down on training costs since Air Force crews are currently sent to the United Kingdom for helicopter training involving simulators.